Premier and Minister of Finance, Honourable Andrew A. Fahie shared his Government’s vision when he met with officials from the BVI’s financial services industry at the BVI Finance Breakfast Forum yesterday, March 21. The Premier in remarks at the event recognised the industry for its importance to the economy in terms of revenues, training and jobs. During the forum, which was attended by approximately ninety (90) industry stakeholders, the Premier pledged that his government would continue to protect and promote the industry by providing the infrastructure and operational framework it will need to maximise its chances of success both in the BVI and globally. Premier Fahie said that he has met with Managing Director of the Financial Services Commission, Dr. Robert Mathavious and assured the stakeholders that his Government will take whatever action necessary to ensure a positive Caribbean Financial Action Task Force (CFATF) review in 2021, including a review of the National Risk Assessment. The Premier also announced that he met with the Executive Director of International Business, Mr. Neil Smith, as Government is well aware of the needs of the International Tax Authority and is fully prepared to put the necessary resources to further strengthen the organisation and reinforce its personnel. Premier Fahie told the stakeholders that he is convinced that they are all on the right track and that the BVI will emerge from these challenges a stronger and even more dynamic international business and finance centre - able to continue playing its essential role in the global economy. At the end of the forum, the Premier and members of his Government entertained questions and comments from industry stakeholders surrounding everyday topics such as Infrastructure, Telecommunications, Immigration and Residency Status, and Revenue Streams. 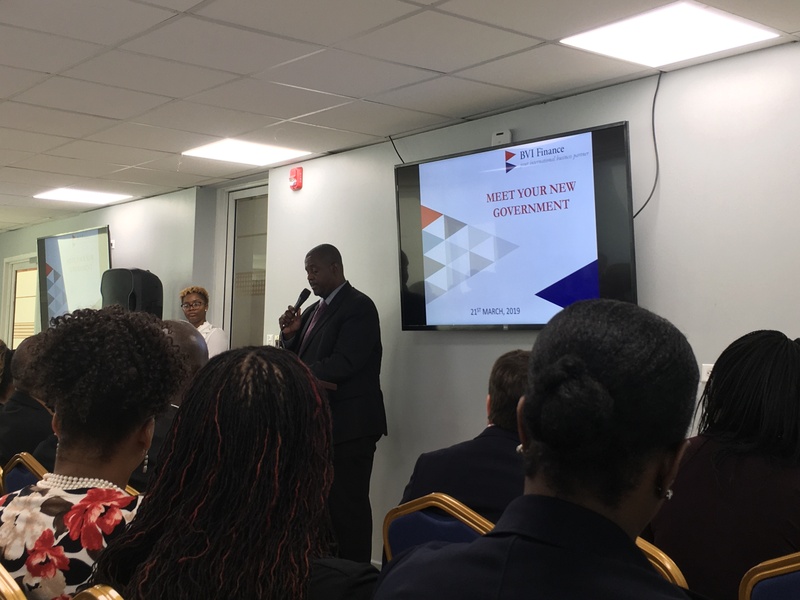 BVI Finance's monthly breakfast forums present topical issues to local financial services professionals in an effort to keep them up-to-date on matters relating to the BVI’s business and finance centre.